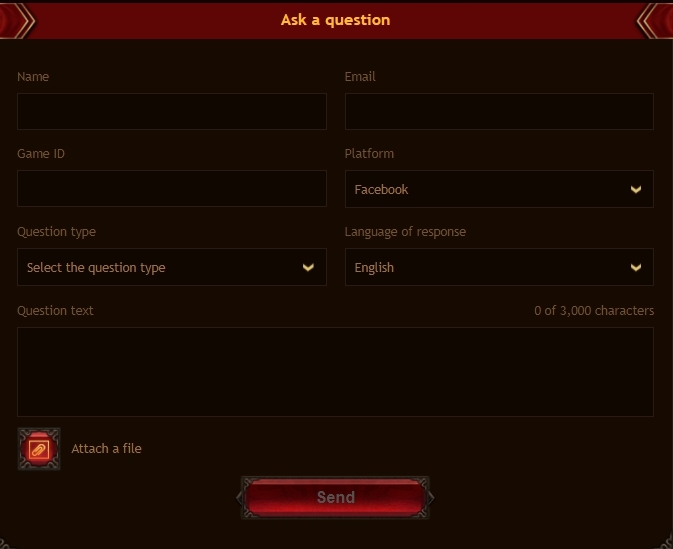 You can ask any game-related question you wish by filling out the contact form in the "How to play" section. You can also hit the "Contact support" button in the Help section of the game Menu. Always write your game ID (you can find it by opening the About the game section of the Menu) or your Clan name and tag, precise Town coordinates and Kingdom name/number. 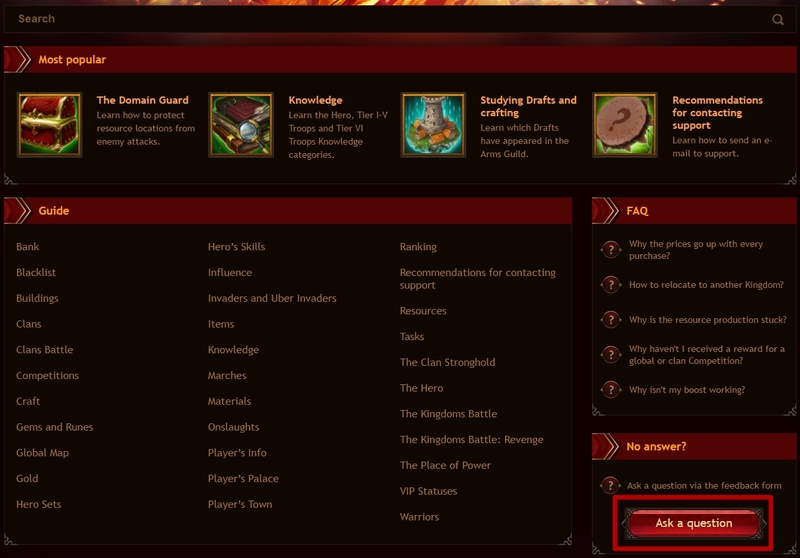 This information will help us to find your game account. Describe the situation step by step. The more details you provide, the better. If you have screenshots, for example, payment receipts or battle reports, please send them to us. If you are asking a technical question, please attach the screenshots of the error, list the browsers you're using, specify their versions and your PC configuration. To find your PC configuration for Windows, press “Win” + “R”, enter the “dxdiag” command and press “Enter”. Then attach the screenshots of the System and Display tabs. Do not resend your request. The more similar requests you send, the longer you will have to wait for answers.